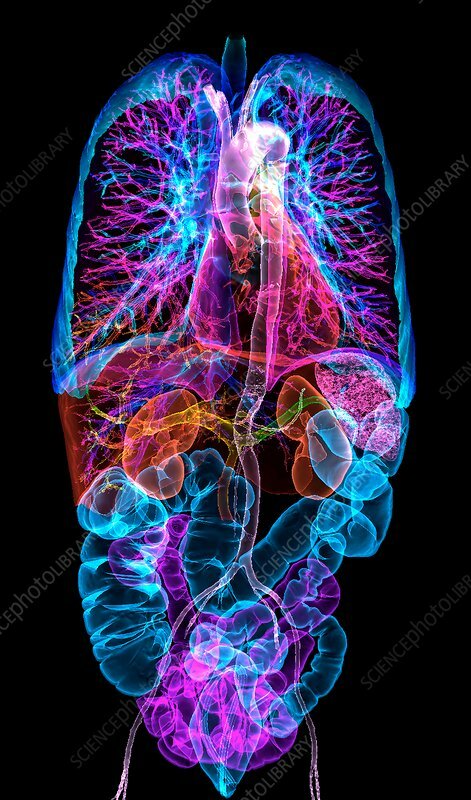 Human internal organs, 3D coloured computed tomography (CT) scan. The organs shown here include the lungs, the heart, the liver, the spleen, the kidneys, the stomach, the small intestine, and the large intestine. The aorta and some of the other major arteries are also shown.